Back to Saturn X is a series of megawad/partial conversion projects for Doom II, designed to be compatible with DOOM2.EXE. It features an exclusive texture set, original music, and a new palette and colormap. Song and album titles from Guided By Voices provide the title, episode names, and map names, and are also inserted into storyline text. 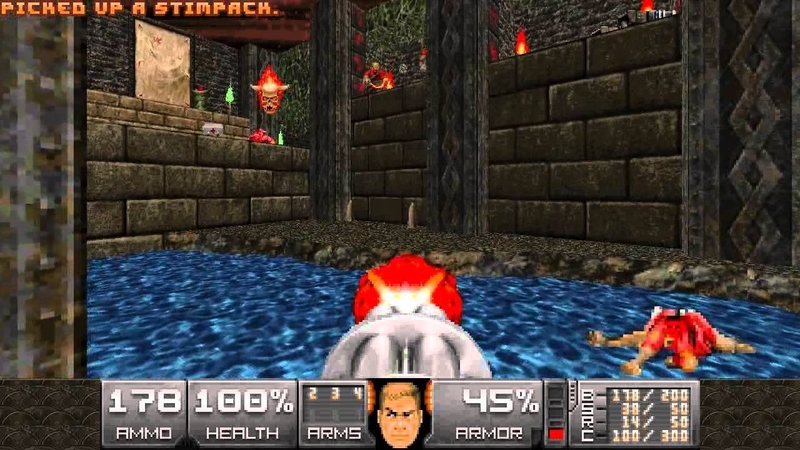 The first episode was originally released on December 10, 2012 for Doom's 19th birthday, featuring twenty regular levels, one secret level, and a recurring train station hub. An additional level was inserted later in a later release on August 1, 2013. The episode received one of the 2013 Cacowards. The second episode was released on 1 September, 2014, with another twenty-one levels, a secret level, four episode hubs and an ending screen. One final episode remains in development.